Three years ago, I became a first-time home owner. Beside the overwhelming freedom to hack my new dwelling as I saw fit, I was excited I finally had a canvas with which to paint with crazy holiday lights. You see, I grew up decorating my parent’s house as a kid. I’d use thousands of incandescent (incans) lights to make my parent’s house glow every year. I had to take hiatus when I went to college and through the following 5 years of apartment renting. During that time the ‘light hobby’ exploded with computer control, communities rose and fell and new technologies were created. I’m sad I missed its infancy, but was finally excited to jump in with two feet. 13 Comments // Read more.. 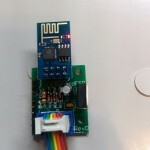 This is a build guide for ESPixel GECE a WiFi pixel controller for General Electric Color Effects (GECE) pixels. This also includes iTwinkle by GE. 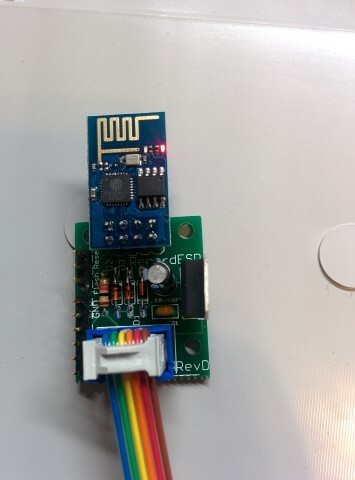 Based off the ESP8266 chipset, this design will replace the original controller on the strand and turn the string into a full fledged e1.31 sACN device. The firmware includes a web server that allows the end user to adjust the various settings. This guide will take you through assembly with the assumption you know how to solder parts to a circuit board. 7 Comments // Read more..
4 Comments // Read more..
Ok, I know I’m late on posting this, but that pretty much sums up this project: Doing things at the last minute made possible by Open Source. Rewind you calendars to October 25. 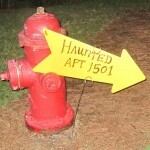 That’s the day I learned my apartment complex wanted to put on a haunted house and asked me to help. I agreed, worried that Halloween was in 6 days. What could I possibly throw together? I had to do it cheap, and I had to do it quickly. I only had 3 week days to get items ordered and delivered and one night to get everything together and working. If it wasn’t for the large open source community behind Arduino, I couldn’t have gotten this done. 6 Comments // Read more..
Well, just like the other 650,000 civilian employees of the DoD I suddenly find myself faced with a 20% pay cut and seemingly endless 3 day weekends. What’s a guy to do? O that’s right, when don’t I have crazy home projects clogging up desk (or floor) space? Well with the extra free time I can start and end some of the projects that I’ve had on the back burner. First up is one of those kind of projects where it’s not so much “Why?” as it is “Why not?”. I had some high energy density batteries lying around and a recent string of power outages have been leaving me in the dark more often than I care for. 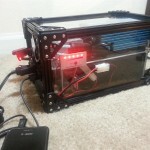 So in true hacker fashion, I built something: BatBox, just like in Minecraft. 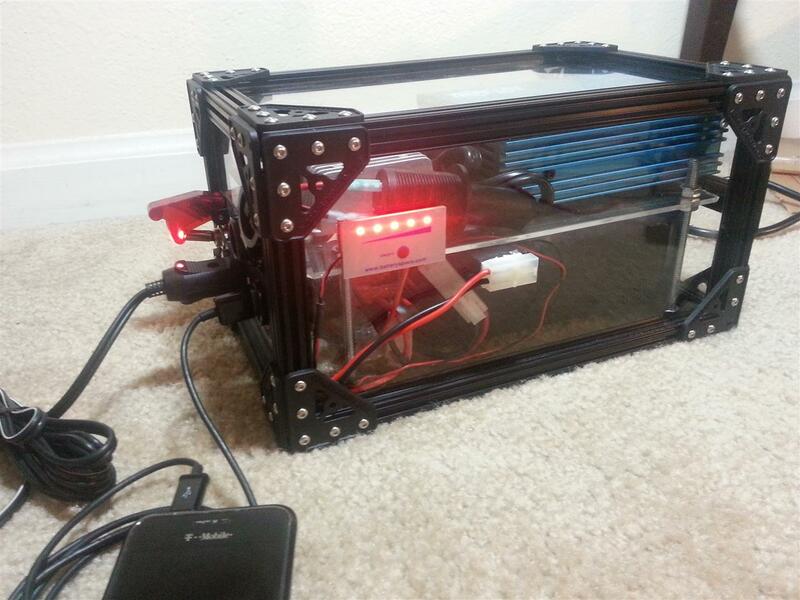 My real life version can supply 5V USB power, 12VDC and 110VAC at 240W for about 2 hours. That’s enough to run my dual head desktop 4x longer than it’s current battery backup. 8 Comments // Read more.. The first iteration of this project went from initial idea to working prototype in about 4 hours, a new record for myself and a testament to the power of open software/hardware. I had been teaching at the FSU STEM Camp all week with my usual geek attire (8-bit tie, PCB tie, LED Lab coat) and the kids asked me what ‘outrageously cool’ thing I was gonna wear on the last day. The problem was I had nothing left in my closet and feared I would let them down. So when I went home exhausted that night (it’s tough teaching over 100 8th graders to solder!) and sat down at the work bench trying to decide what I could do in a night. Inspired by Adafruit’s Amplie-Tie, this is what I came up with. 85 Comments // Read more..
Mara and I met in college, both getting our B.S in Electrical Engineering. We are both true passionate geeks; we love to tinker and create things. So it’s no wonder why we put so much into creating a truly original Geek Wedding. There was a lot of 3D printing involved, meters of wire used on our clothes; we even used a soldering iron during the ceremony. We developed a lot of useful stuff during the creation phase, and of course everything is Open Source. Part 5 of the tour through Our Geeky Wedding focuses on the clothes we wore for the wedding. Or, technically what we did to the clothes we wore for our wedding. Of course in a wedding with an engineering theme only one thing comes to mind when you think of the attire: e-textiles! 10 Comments // Read more..
14 Comments // Read more..